As of today, it has been six years since Elizabeth Taylor left us. 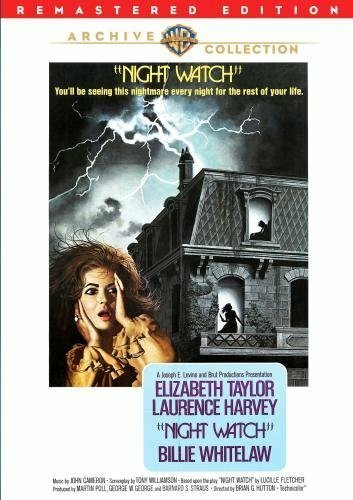 In remembrance of this unique actress and humanitarian, I am spotlighting one of her lesser known films, Night Watch (1973). This single horror entry in Taylor's resume was long unavailable until its release on DVD from Warner Archive. Based on a play by Lucille Fletcher, it's a tightly-wound, atmospheric bit of terror. The late sixties and early seventies were a rough patch in Taylor's career, mirroring the movie industry overall. Society was going through massive changes and studios struggled to keep up with the times. In addition to these challenges, Taylor was dealing with the increasing tensions of her often combative, and sometimes toxic marriage to Richard Burton. The pair lived large and loud, and in the hippie age that often made them the subject of scorn. In part because of these factors, many of Taylor's films in this era have become essentially lost. There has been a general critical opinion that her work during this time was a disappointment, a baffling conclusion to make when so many of her films from this time have not been readily available for years. While films like Boom (1968), The Driver's Seat (1974) and X, Y & Zee (1968) certainly have their over-the-top moments and eccentricities, they are also showcase Taylor in some of her most complex and intriguing performances. This was Taylor's unruly period. After years of playing placidly beautiful, often obedient women, she took off the gloves and made a great show of giving her image a good smacking. In her early career, even when she played rebels, her characters tended to stay within the acceptable boundaries of female behavior. She began to show what she had in films like Cat on a Hot Tin Roof (1958), BUtterfield 8 (1960) and The Sandpiper (1965), but it wasn't until her Oscar-winning performance in Who's Afraid of Virginia Woolf (1966) that she showed how beautiful she could be when she got truly loud and emotionally messy. By the mid-sixties, Taylor took on a persona that was unusually unruly for a female. It made her the object of ridicule, a position which was often mirrored in her films. This Elizabeth felt hurt and betrayed by the world. Instead of retreating to lick her wounds, she raged about it. Her films were populated with people who didn't believe in her, husbands who betrayed the raving beauty for blander, more subdued blondes, and disapproving bystanders who just wanted her to calm down. But she would not calm down. 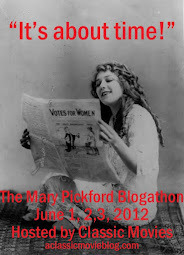 She would keep making ripples on the status quo, expanding the idea of what it meant to be female. Taylor's performances during this era had many flamboyant moments that went beyond any concept of good or bad. They grabbed your attention and brought you into her orbit. That's what people tend to remember, but these wild displays were offset by some of the star's most subtle acting. Sandwiched between the tirades were quiet, excruciating moments of great emotional complexity, where you saw the woman who lived beneath the noise. I'm sure many would say that this was the real Elizabeth emerging, but it took great skill for her to translate those emotions for a movie camera, a talent for which she was never given enough credit. 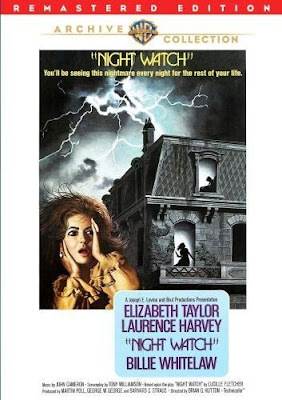 Night Watch ticks off many of the boxes from this time in Taylor's career: she plays a wealthy woman who seems to be losing her mind, she is betrayed by her husbands, and her greatest competition is a more subdued, well-behaved picture of femininity. She is Ellen Wheeler, resident of London, the insomniac wife of John Wheeler (her BUtterfield 8 co-star Laurence Harvey) and best friend of Sarah Cooke (Billie Whitelaw) who is currently visiting the two on holiday. Unhappily married and haunted by violent dreams from the past, Ellen becomes fixated on the horrific abandoned gothic mansion next door. Dusty and decrepit, but with a perfect garden tended to by caretaker Appleby (Robert Lang), she spends much of her time staring at its windows on rainy nights. One especially stormy evening she claims to have seen a dead body sitting in a chair next to the window, and says that it resembled her dead husband. Ellen's terror over what she thinks she has seen throws her into hysterics. She can't sleep, refuses to eat and constantly calls the police to report her suspicions about the murder. John and Sarah try to manage her, but she is not the kind of woman who can be managed. Her seeming madness pushes them all towards a surprising climax and amusingly subdued conclusion. Night Watch shows its roots as a play, with very little location shooting. For most of the film Taylor is confined in her home, which enhances the tension by reflecting the way she is trapped by her own fears. A brilliantly suspenseful score by John Cameron and some horrific flashbacks add to the building terror. It's a tense, unsettling bit of drama. Taylor and Harvey were delighted to work together again and hoped to find another project on which to collaborate, but both were ill during the production and struggled to complete the film. Harvey would die of cancer not long after. It is possible they may not have had the leverage to launch another project as it was, since the UK-based production was not a hit with critics or audiences. It's a worthy film though, with intriguing performances, subtly building tension and a great, chilling atmosphere. The Warner Archive disc comes with no special features. The remastered image does justice to the rich Technicolor, though in some scenes there are several subtle dirt marks. It isn't a pristine copy, but the flaws do not distract from the viewing experience. Great analysis and a great read!! This film is a favorite of mine so I'm happy whenever someone remembers it!! I am so happy to hear you love this film! It is most deserving of a higher profile.Thanks for dropping by.